When evaluating a startup idea, it's important to leverage the collective wisdom of what makes a startup successful, including evaluating the market opportunity, understanding how your product will significantly improve upon what already exists, evaluating the team's strengths, understanding your user acquisition strategy, and critiquing the business model. These are all critical criteria that are indeed important in understanding the potential for success of your next venture. However, in addition to these standard criteria, I'd like to suggest three additional ones that have become extremely important in my own evaluation of startup ideas. I cannot underscore enough the importance of passion when picking your startup idea. Startups are undoubtedly tough and there will most certainly be rough patches in your startup journey. And if the only reason you are working on a specific idea is because you thought it might make a good business, then it'll be extremely difficult to recover from these low points and have the right level of grit and persistence needed to make your startup successful. The extremely high number of startup "pivots" these days in my mind is a reflection of this exact issue. However, if your idea is a true passion for the entire founding team, then even the most insurmountable challenges will be tractable. When your work feels like your true calling, you'll most certainly give it 110% and not "pivot" at the first sight of potential failure. Gus Tai from Trinity Ventures taught me to always ask this when evaluating a startup idea: why is now the right time to pursue this opportunity? Maybe it's because new technology has emerged to make your product possible. Maybe it's a broader industry trend or change in consumer behavior that makes this opportunity now attractive. Or maybe new user acquisition channels have emerged to enable you to easily reach the target customers of your product offering. Whatever the reason, it's best to understand what has changed in the ecosystem to enable you to be successful right now. And if you can't think of any reason why this idea didn't exist before, it's usually prudent to dig deeper as you are not likely the first to have thought of this idea and there may be reasons you don't yet understand for why your idea may not be successful. The cost of starting a technology business has significantly decreased in the past decade, making it trivial for anyone to take a supposedly good idea and copy it. Think of the thousands of Groupon clones that were quickly created after Groupon's initial success. What then becomes important is not just your initial entry into the market, but how your startup will continue to have an unfair advantage in the space, creating a moat between you and all the would-be competitors. 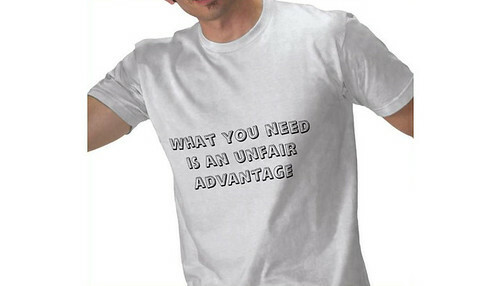 Your unfair advantage could be specific expertise on your team that is uniquely capable of addressing the problem space. Or access to core IP that cannot be easily replicated. Or even first mover advantage with quickly built up network efforts that are difficult to recreate. Whatever it is, make sure an unfair advantage exists for why your team will be able to dominate the market.